The Analyst indicator includes only the price and time data. Doing the math, and studying them on two principles, it compares the two results and determines the market mood at certain periods. The most important thing in this process was to properly formulate the analysis rules for the analytical structure and the trading part of the system. I'll try to explain briefly how it works. 1. When simultaneously using two methods for mathematic calculation of price movement over time, trading zones of several types appear, showing the market mood on a given interval of time. 2. Based on the principle (nature), trading zones are divided into several types, which we have tried to describe briefly and clearly for the trading terminal to understand them. 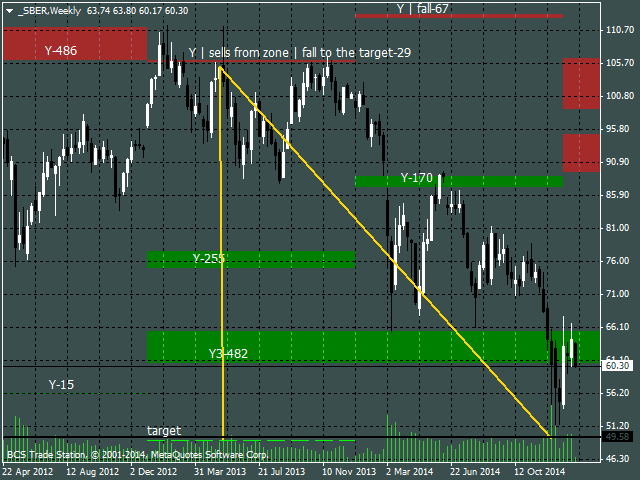 Brief description of these trade zones in real time greatly helps to select right trades in future. On the chart, you can see that after initiation of zones, they are all different, "thick", "thin", "medium", "high", "low", "wide", "narrow". And each has its own rules, principles and moods. We only need to understand their moods, behavior and their opportunities, of course. 3. Our next task was to define the moods and opportunities of the zones with high probability by using a certain mathematical algorithm in the calculations. After examining the properties and setting in a certain calculation logic to study the "mood" of the patterns, we have managed to quite accurately describe the market mood and predict its movements. And now it really will help you improve the quality of your trading. Each of you can backtest all the signals (they are not redrawn), and of all the recommendations of the analyst select only the ones you like the best. Draw lines description – comments to the zones. true - enabled, false - disabled. Width – the width of timeframe dividing lines, 0 – do not show. Style – the style of timeframe dividing lines. Color – the color of timeframe dividing lines. M1 Color – color of growth zones. M2 Color – color of fall zones. 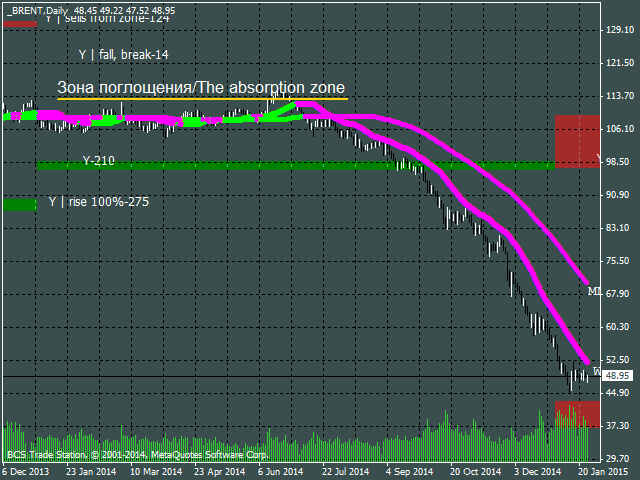 М1 under M4 description – a comment for Sell areas (you can add your own comment). МS1 under MS4 description – a comment for Buy areas (you can add your own comment). М1 above M4 description – a comment for upper X areas (you can add your own comment). МS1 above MS4 description – a comment for upper X areas (you can add your own comment). Pay special attention to the higher TF and absorption zones.